Merry Christmas from all at Seal Church. Thank you to all who worked so hard to make our Christmas celebrations so good - flower arrangers, Dan Eaton and the Choir, servers and sidespeople. The story I told on Christmas Day and the sermon from the Midnight service can be found on our website (link on home page). CAROL SINGING - Thank you ! Thank you to all who came Carol Singing around the village on Dec 12. We raised £113.20 for Crisis – a really good total, and we had great fun too! MATINS on 21st Dec will be a said service as the choir and organist will have a very busy day preparing for the carol service in the evening. Six “taster” training sessions are being organised by Church in Society (Thursdays 12-2pm in Maidstone, from Jan 15 – Feb 19). The course costs £30 in total. I have application forms or you can email Mary Bucknall mary@churchinsociety.org or phone 01622 755014 if you’re interested. We are getting rid of the ex-restaurant chairs from the church hall (non-stacking, slightly padded, wooden chairs) as we acquired (free!) some new (to us) stacking chairs during the summer, which will take up less room in the hall. The old chairs are in reasonable repair, but showing their age. If anyone would like any of them, please say so – whatever is left over after Christmas will be taken to the tip! Tickets for the CAMBRIDGE CHRISTMAS CONSORT’S CONCERT on Sat 20th Dec at 7.30 are available from me or from Highland Printers (or on the door). They cost £7.50 – sorry no concessions for children. Last week’s UNITED ADVENT SERVICE raised £184.15 which will be given to the Diocese’s Harare appeal which supports the people of Zimbabwe, via our link Diocese in that country. Thank you to all who took part and especially to Dan and the choir for all their hard work. These candlelit, quiet communion services will take place at 8 pm in the Lady Chapel on Thurs 4, 11, and 18 Dec. Lots of silence, a little gentle music and a short talk – all welcome! The theme for the three weeks will be the other nativity - the birth of John the Baptist. Each week's short talk will be posted on the church website after the service. 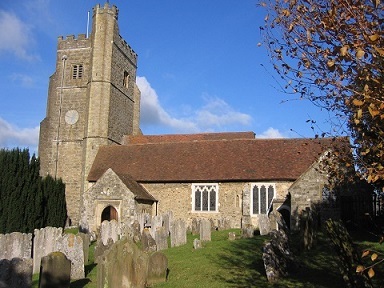 Next Sunday evening - Nov 30th - at 6.30pm there will be a United Service for Advent here at Seal, NOT at Seal St Lawrence as stated in the Sevenoaks Chronicle when we will be joined by the choirs and congregation of Seal, St Lawrence and St Margaret Underriver. Please come along to share in this special service of music, readings and prayers for Advent. Another chance to "know your neighbours." Following on from the very successful “Know your neighbours” evenings earlier in the year, from which the idea for Seal’s Fete in September came, there will be another evening get together on Nov 27th from 7.30 pm in the church hall - wine and nibbles provided. Everyone is welcome, whether you came to earlier meetings or not. If you belong to an organisation in Seal and would like to bring some literature about what you do, please talk to Marion Gilchrist (01732 763727). The next venture we have planned is Carol Singing around the village on Friday Dec. 12th – gathering in the church hall at 6pm – in aid of charities for the homeless. All are welcome! DO YOU LIKE TO KNIT AND SEW? The Little Love Project provides tiny clothing for premature, miscarried and stillborn babies primarily for Pembury, Maidstone and Great Ormond Street Hospital. She has patterns for really tiny sizes that she can pass on. You’d need to supply your own materials, however as the items are so tiny that they don't use up too much wool/material at all. They're also very quick to make too. Having these items readily available to clothe a baby that wasn't expected so soon (or so tiny) is one less thing for grieving or anxious parents to have to think about and communicates to them that they aren’t alone in their time of trouble. This blanket is warm with no holes for little fingers to catch in. It can be used to wrap baby up whilst feeding or nursing, or as a little cover. It fits the little cribs in Hospitals. It's approx 24" Square. Cast on 1 stitch. Next row :-- Make the I stitch into 2 sts. Next row :-- Knit 1 , into the next stitch make another , 3sts on needle. Continue to knit, ALWAYS knit the 1st stitch and in the 2nd stitch make another Only increase this way at the BEGINNING of a row Continue until you have almost come to the end of 100gm ball. Knit 1 row plain. Next row :-- Knit 1, Knit 2 together Knit to end of row. Continue this way, Always knit the 1st stitch then decrease into next stitch by knitting 2 together until 1 stitch remains. CAST OFF. You should now have a neat square. If you wish it can be lightly steamed. Do NOT let the iron touch the fabric. Tanya has agreed to be a collection point for anything you have knitted – please contact her to arrange to deliver what you have made. If there is enough response we will gather what we have made together during a service in church and bless them before sending them off. Watch this space! Following on from the very successful “Know your neighbours” evenings earlier in the year, from which the idea for Seal’s Fete in September came, there will be another evening get together on Nov 27th from 7.30 pm in the church hall - wine and nibbles provided. These are very informal gatherings of anyone who wants to come, simply to meet up and chat. Everyone is welcome, whether you came to earlier meetings or not. If you belong to an organisation in Seal and would like to bring some literature about what you do, please talk to Marion Gilchrist (01732 763727). The next venture we have planned is Carol Singing around the village on Friday Dec. 12th – gathering in the church hall at 6pm – in aid of charities for the homeless. All are welcome! How do you feel about reading the Bible? Want to but don't know where to start? Too big? Too complicated? Too boring? Too old-fashioned? The Bible is a book which many people have in their homes, but few actually read on a regular basis. That's not surprising. It is big and it can seem complicated. It was written over a period of thousands of years in a world very different from our own, a world that can seem very alien to us. But if we don't read the Bible we are missing out on a treasury of wonderful stories and vital resources for our Christian journey and sometimes all it takes to get started is the encouragement of a few others and something to steer us in the right direction. That's why I have started to produce some monthly Bible study notes, based on one of the Sunday readings for the month. 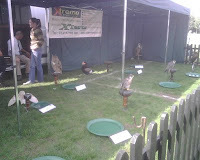 If you'd like to have a look, you can find them here, as well as at the back of church. You might like to find a few friends to discuss the questions with - if you need help to find others to talk to, please contact me and I'll see what I can do. Seal Beavers and Cubs - HELP! When Nicky Harvey decided to start a Beaver scout group in Seal she had no idea of how popular it would be. She was soon inundated with small children. Some of them were soon ready to move onto Cubs, so she bravely started a Cub group too, and that is full as well. There are plenty of children, but Nicky is now DESPERATELY in need of helpers. She is especially looking for people who could do the training and become accredited as leaders, taking responsibility with her for these groups, but she would welcome any help, however little that anyone can offer. I am sure there are those out there who remember their own days of dib-dibbing and dob-dobbing with affection, and would like to help todays generation of children have the same life-enriching experiences they had. You don't have to be an expert - training will be given in things that you really do need to know. You will need Criminal Records Bureau clearance of course, but the Scouts will arrange for that. So - let's not see these groups run into the sand for lack of help - if you think you'd like to get involved, email me and I'll pass on your details to Nicky. The church was responsible for providing cream teas, which sold well - early indications are that we have made a healthy profit which should help in our battle against the Death Watch Beetle in our rafters... There were various other stalls and activities raising money for the church, including a book stall, face painting and a marvellous collection of knitted scarves and hats made by Margaret Mountfield, each with a little personal note attached! Totals aren't in yet but it will all help. The real profit from the day though was in the relationships that were made as the fete was planned and during the day. This initiative came out of the "know your neighbours" evenings the church ran earlier in the year, which drew together a wide range of people from the village many of whom hadn't met before. It is easy for communities to lose any sense of cohesion and identity these days. People get in their cars and travel elsewhere to work, to go to school, for leisure activities, bypassing their neighbours who can quickly become strangers to them. Gradually the things that keep a village alive are lost - shops, facilities, clubs and societies. It is only when we make the effort to come together that we discover that so much of what we long for, which we might have travelled great distances to find - fun, purpose, people who are interested in us and care about us - was right there on our doorsteps all the time. I don't know whether the fete will become a regular fixture - that will depend on whether people want it to be! - but we are certainly hoping that this will be the beginning of all sorts of community enterprises in the future. Thank you to Carol McCall for the pictures! What's on in Sept ? Yes, I know, it has been a long time since I last posted anything on the blog, but now we are all surfacing from the summer diversions I thought I would let you know what is coming up at Seal. On Sat 13th Sept the village will be en fete. 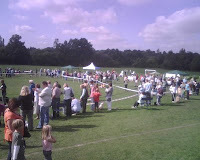 From 12 - 4pm the recreation ground will be full of stalls, games, a dog show, a falconry display - and many more. The fete has grown out of the "Know your neighbours"evenings the church hosted earlier in the year, to bring people together in the village. 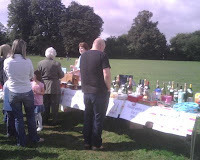 Out of the various suggestions people came up with, the fete came top of the list. Seal hasn't had a fete for quite a few years, so this has had to be organised very much from scratch by a team of volunteers. Whatever happens on the day, the process of setting up the fete has drawn people together and helped them get to know one another. After the fete there will be another "know your neighbours" meeting (probably in November) and no doubt other suggestions for activities in the village will be shared. We are already tentatively planning some Carol Singing round the village at Christmas. Watch this space! Not many weeks after the fete we will be celebrating Harvest Festival at Seal on Oct 5th. As well as the All Age Communion service in the morning, there will be a "Bring and Share" Harvest Tea from 4-6pm in the church hall. Tea and Coffee will be provided - bring some sandwiches/nibbles/cake to share with others in the spirit of harvest, when we give thanks for the good things we've been given not only in music and prayer, but also in action as we seek to share the riches we have with one another and with those in need around the world. As last year, our Harvest offering will go to the Diocesan Poverty and Hope appeal, which supports charities overseas and at home. The feast of St Peter and St Paul falls next Sunday - 29th June - and we'll be celebrating it over the weekend in a number of ways. On Sunday at our main morning service we'll be celebrating our patron saints, but also some of our newest saints too as we baptise Emily and Jordan during the service! In the afternoon there will be a strawberry tea in the vicarage garden (let's hope the sun shines - if not we'll be in the church hall). Tickets are £5 for adults and £2.50 for children - sign the list in church or let me know you're coming and I'll pass the message on to those who will be buying the strawberries. In the evening we finish our celebrations with a special Evensong, with the choir in full voice and some special music. These Evensongs are always good - the traditional words of the book of Common Prayer and some beautiful music as we give thanks for our church, for its past, present and future. Why not come along and give it a try, even if Evensong isn't your usual thing, this should lift you out of the mundane and into the eternal ! “Christianity” by Peter Graystone (Collins 2008 £8.99). I am always on the look-out for books about Christian faith that manage to be easy to understand without being simplistic. They are hard to find, so when I do find one I want to let others know about it. This book, by Peter Graystone, is I think a very valuable addition to that small collection. It covers all sorts of issues basic to Christian faith; beliefs about God and Jesus, reading the Bible, Church history, Church architecture and contemporary ethical dilemmas as well. Graystone manages to give just enough detail to give a clear picture without swamping you with information you might not need and provides sensible suggestions for further reading. Best of all, he doesn’t tell the reader what to think, but gives a broad picture of the range of Christian opinions and practices, so that you can make your own mind up about where you stand. It hasn’t got any pictures, which is a shame, but I think it is very accessible nonetheless. If you feel a bit rusty on the basics, or would like something to start you thinking about Christian faith from scratch I would highly recommend this book. Sevenoaks Bookshop would be able to order it, and it is available online from Amazon too. I’ll leave an inspection copy at the back of church if you’d like a look. Please don’t take it away! Meet your neighbours - what happened next? The "Meet your neighbours " sessions we held in April were a roaring success. Lots of people came and chatted - we virtually had to throw people out at the end. Marion Gilchrist and her team also had the wisdom to ask people to write down any ideas they had about future events that could be planned to enrich our village life. 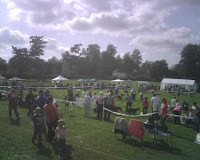 One idea that had a lot of support was for a Village Fete, which has been scheduled to take place on Sept 13th. Planning is in the early stages, but there will be stalls, food and drink, games etc. and it will be a good chance to continue to get to know people locally as well as raising money for the organisations the stallholders choose to support. The next planning meeting for this will be on Thursday June 12th at 7.30 in the church hall. All are welcome! Thanks to all who came to our Annual meeting yesterday. We've elected our new PCC - welcome back to Maggie and Malcolm Fox, who've been re-elected - and to Tanya Wright and Sophia Michael, who will be coming onto the PCC as co-opted members. Matt Bell, Margaret Mountfield and Jill Myers are our new Deanery Synod representatives. Thank you to all who work so hard behind the scenes in church - the wardens, Readers, sidespeople, choir and organist, flower arrangers, church cleaners, coffee makers - and, of course, to all who take their faith out into the community as well. A boring name, but an interesting meeting! Our Annual Parochial Church Meeting (hereinafter called the APCM!) takes place on Sunday April 27th at 11.15, following on from the 10 am service. It will be held in the church hall and everyone is welcome (though only those on the electoral roll can vote). We'll be electing new Parochial Church Council (PCC) members and Deanery Synod members, who are also members of the PCC. The PCC debates and decides all sorts of things relating to the church - fabric and maintenance, the activities and services of the church, for example. It is a really important way to make sure that everyone's voice can be represented. The Deanery Synod does the same sort of thing for the Deanery - the wider group of C of E churches in the area. The Deanery Synod also elects the General Synod, which makes decisions about the church nationally. At a time when there are many important things on the church's agenda it is really important to have a wide range of views represented on these bodies. It is no good us sitting back and complaining about the decisions "they" have made - we are the "they" who makes them. If you'd like to consider standing for the PCC or Deanery Synod, there are nomination forms at the back of church. The annual report, which is presented at this meeting, will be in church on 20th April, or can be downloaded here - Annual Report and Financial Statements. Everyone will, I am sure, have their own opinions about last week's row over the Archbishop of Canterbury's speech at the Royal Courts of Justice, a speech he had been invited to make on Civil and Religious Law in England, part of a series on Islam and the law. For what it is worth, since various people have asked me, I think that Rowan Williams was right to raise this thorny issue, and the storms of protest serve to reveal how important it is that we should have this debate. Some people have said that "if people [meaning Muslims] come here they should live by our rules", but this ignores the issue of who are the "us" who are making the rules. Britain now has a large number of British Muslims - they are just as much "us" as Christians, Jews, atheists and all the other religious and secular groups that make up our society. They have the same rights to make their voices heard, and to share in shaping the nation that is theirs as much as it is anyone elses. Our history, our law and our national consciousness has been shaped and reshaped many times over the centuries. The hop industry, for example, was brought to Britain by Hugenot refugees - Protestants from Northern Europe who fled the religious wars of the Sixteenth and Seventeenth centuries. Where would Kent have been without that contribution to our county's life? Yet at first, putting hops in beer was seen as distinctly "un-English". That example may not seem a good parallel with sharia law, but it brings home to us the fact that the people who come here do, as the archbishop controversially said, "unavoidably" change what we think of as "our" nation and "our" national character (and even "our" beer!) There have been plenty of people whom we would now count as cherished ancestors, people who formed that idea of "Britishness" that we are so fond of, who, at the time were less than welcome. The Normans, Vikings, Danes, Jutes, Saxons and Romans, all came to Britain with their own ideas about government and religion, and all, in some way shaped and changed the populations that they found here. While existing populations have always regarded the new ideas of new groups with some measure of suspicion, once people are here they will "unavoidably" have an effect, and often some of that effect will turn out to be positive and welcome. What matters is whether we have the courage to engage with those new ideas or not, and try to find some way peacefully and constructively to incorporate them into our national life. Here are some links - the first to the speech that caused all the furore, and the others to articles which seemed to me to have helpful comments to make on it. You are, as always, welcome to disagree ! Ash Wednesday - so what's that all about then? 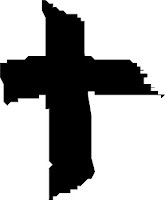 Ash Wednesday may seem to some an unnecessarily gloomy occasion - not what we want from our faith. With its emphasis on repentance - the confession has a much more prominent place in the service than normal - and the symbolism of the ashen cross that the priest puts on the foreheads of the worshippers, it is undoubtedly not "happy-clappy". This isn't how we tend to like our religion today. However, despite the fact that I'm not by nature a gloomy or guilt ridden person, I do think there is some real value in this traditional beginning to Lent, perhaps especially for our society, which is so averse to anything sombre or solemn. Ash Wednesday is the moment in the Church's year when we deliberately remind ourselves that we will all die. Life is a terminal disease, as someone once said. "Dust you are, and to dust you shall return," are the words which accompany the "imposition of ashes" (the point in the service at which the priest makes a cross of ashes on the foreheads of the worshippers). We are part of the earth - we came from it and we return to it, however we might like to try to avoid this knowledge. Knowing that we will die, while a sobering thought, is also a reminder to us of the preciousness of life, and of the gifts it brings. It reminds us to seize hold of life and live it fully, not wishing time away or wasting it on things that don't really matter. Our dusty, "earthy" nature is also a reminder that we are part of the earth, physical beings, dependent on it for our lives. Looking after ourselves means looking after the earth too. It's not just mortality that Ash Wednesday reminds us of though. The emphasis on repentance in this service is also a gift to us. The ashes used for Ash Wednesday are made by burning the previous year's Palm Crosses. On Palm Sunday we held these high and promised, as the were blessed, to follow Chris, but the truth is that all of us, in some way or other, will have failed in this task. We aren't perfect -not because we are bad, but because we are human - but what do we do about this? Acknowledging and feeling guilt are things people tend to avoid like the plague, looking for someone else to blame for things that go wrong, because they can't bear the thought of dealing with such uncomfortable feelings. We load unrealistic expectations of excellence on one another and on ourselves, which we will never fully live up to, however hard we work. Ash Wednesday gives us an opportunity to acknowledge our fallibility, and to hear God's forgiveness and acceptance of us as we are, giving us the freedom to pick ourselves up and try again. So, Ash Wednesday may not be the easiest of days, or the easiest of liturgies, but it is a valuable opportunity - one not to be missed. Our service in Church, at 8pm on Feb 6th, will be a sung Communion service (the choir were learning a lovely anthem this week at choir practice), and everyone is welcome. The first part of the service will include the chance to receive that ash cross on your forehead, though no one is obliged to take part in this. If you haven't been before, why not come - as you are, mortal, fallible, like all the rest of us, to pray for yourself, and for our broken world. We had our first Children's Church Council meeting last week. A success I think. I asked the children to tell me something they liked about coming to church and something they thought we could do better or differently. I am glad to say that the first list was longer than the second, and that the list of things we could do better was all fairly do-able! The children wanted to do more in church - reading and praying and so on - and, being good Anglicans they knew they'd need a rota for this. So we made up a rota, and I had lots of enthusiastic volunteers to read and pray - if only it was as easy to get the adults to sign up to things! There will be an open meeting to discuss this on Feb 24th after the morning service, and the PCC will take a decision later in the year.